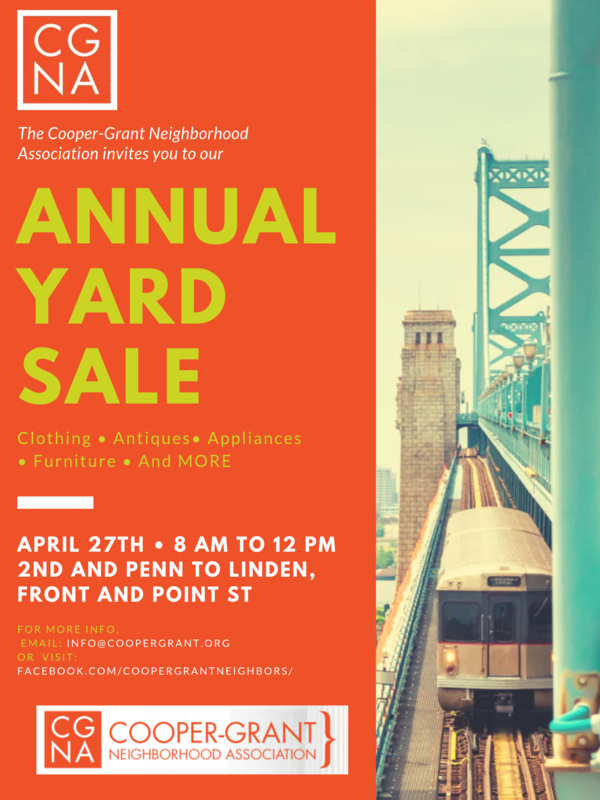 Cooper-Grant Annual Community Wide Yard Sale! 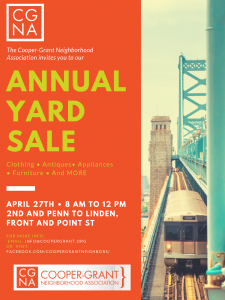 The April 2019 Monthly Cooper-Grant meeting will be held on Monday April 22nd at 7pm 312 Cooper St. at the Rutgers Alumni House. We have some guests addressing everything from sustainability challenges to the community engagement coordinator from American Water.